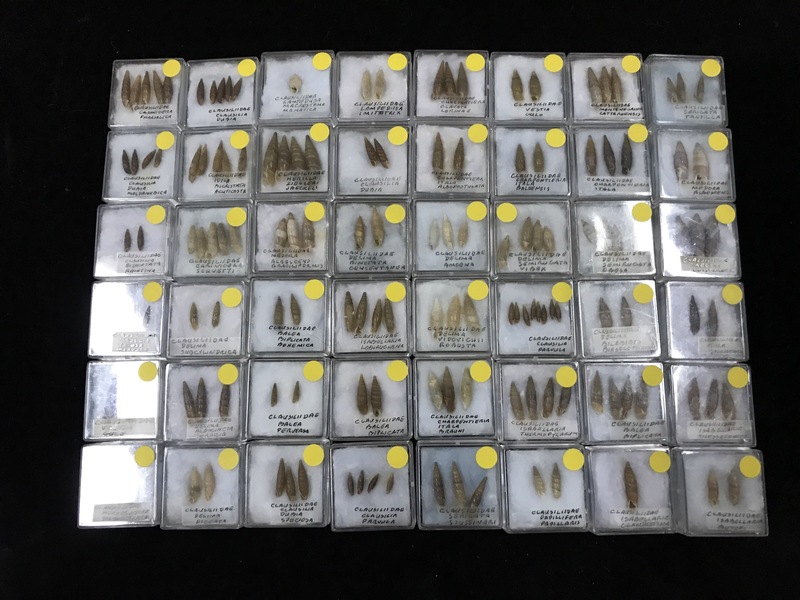 Dear friends we have to sell (you can see photos above) a Pulmonata collection (725 specimens) from all over Europe. 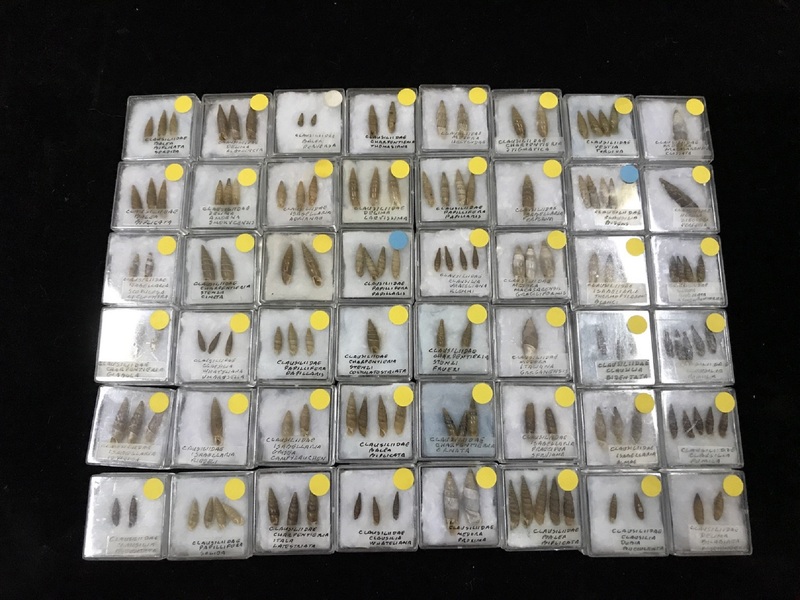 The Clausiliidae family is 86% of the collection and have too a few number of specimens of Cochlostomatidae, Ferussaciidae, Ellobiidae, Discidae, Testacellidae, Endodontidae, Euconulidae and Cochlicopidae familys. 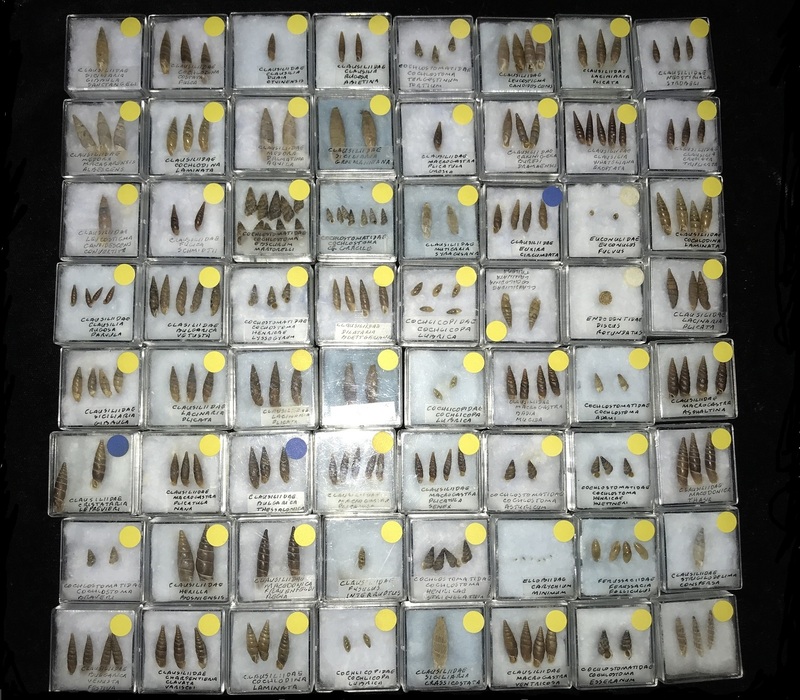 All specimens have labels with all data and properly packed in small plastic boxes. The price is 2.250€. In 'CLASSES' bar on left off the screen. 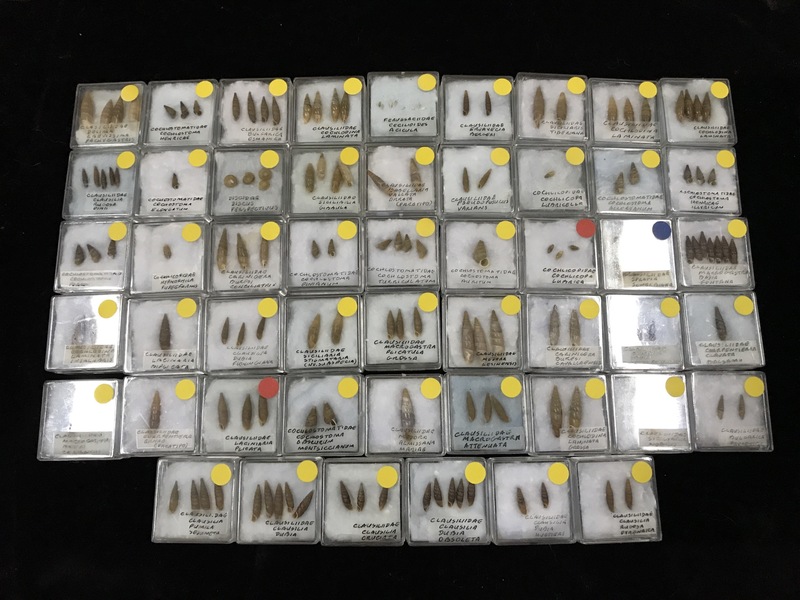 Click on 'COLLECTIONS' to see the list off all specimens. For more information you can contact us to our email: deepnreef@deepnreef.com.